An important part of any pay review is reviewing pay. That is looking at pay modelling, outputs and outcomes. My experience says that the 80/20 rule applies. 80% of the pay round outcomes will be straightforward. What will be of interest is the 20% of the population that comprises of exceptions and outliers. So a good analysis will be layered to provide details on the total spend by department or area and the identification of outliers and exceptions. The most effective way to provide this data is to do so using graphical data and info graphics. Human beings assimilated graphical data far faster, in most cases, than vast spread sheets of data or even summary data in tabular form. We like to look for patterns and at pictures when going through the sense making process. The other very important piece of the presentational jigsaw is to show, wherever possible, the link to business metrics and key process indicators. (KPI’s). 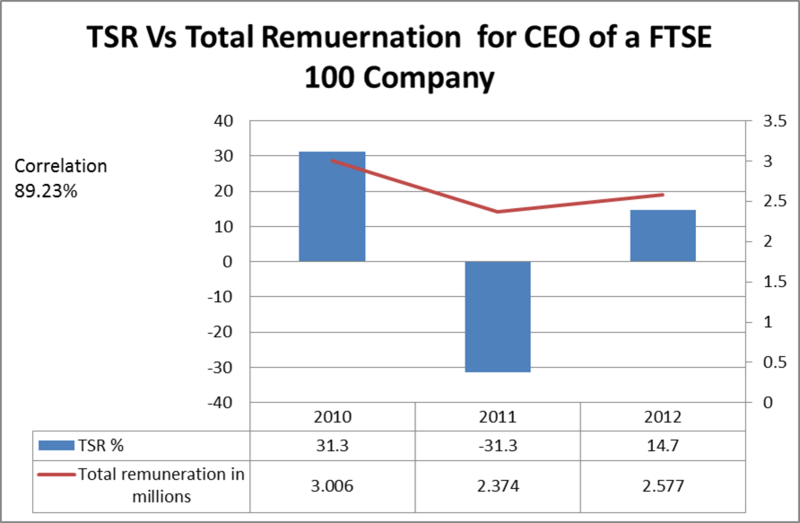 It is very useful to show correlations between our reward outcomes and business metrics. We must use the data to show our “bang for the buck”. That we are spending shareholder money to best advantage. This approach should be supported by reference back of the pay outcomes to our reward strategy. So if our strategy is to pay our top performers at the upper quartile of our pay market we must show that correlation in our presentations. Getting pay visualisation right saves time, effort and increases the credibility of the reward team. It aligns the reward analysis with that of the organisation and its management. Having a cohesive pay narrative, linked to business outcomes with make the “sell” of the pay round easier and faster. Anticipating the questions of our stakeholders is both simple and powerful. If the pay round is well structured management will have a focus on the exceptions and the outliers. 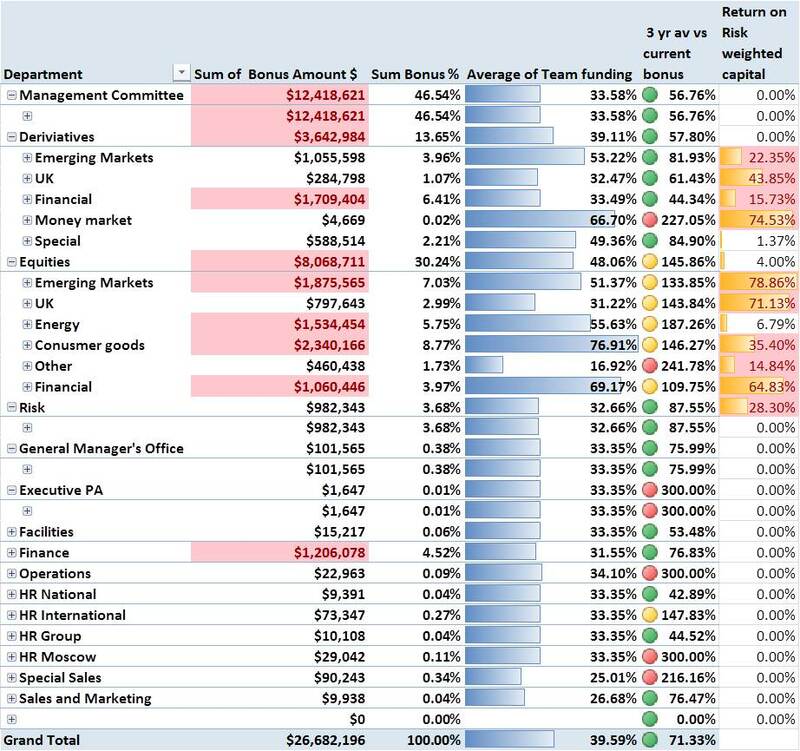 Identify the top and bottom ten per cent of your pay proposals. Clearly identify those staff who are being rewarded outside the policy or in a different way to their peer group. DO NOT provide pages of spread sheets or tabular summary data. (Unless specifically asked for by a stakeholder). For most managers pages of data are difficult and time consuming to read and difficult to interpret. 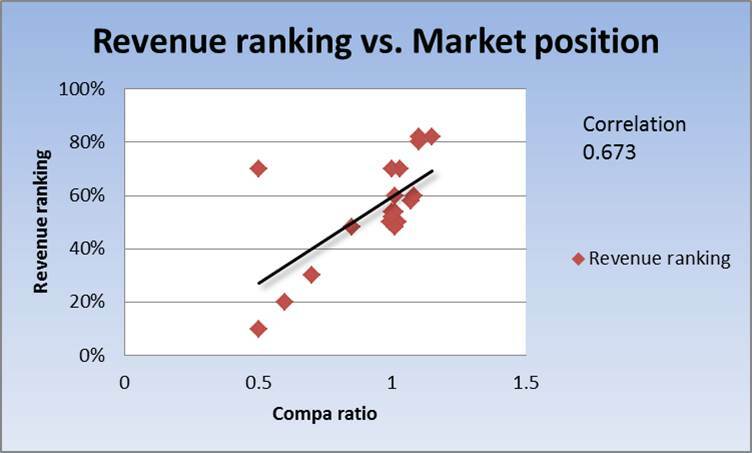 This graph shows a correlation between revenue ranking and market position. It is immediately oblivious that there is an outlier. The reason for that person’s position on the graph can be explained and a recommendation made as to how to correct the anomaly and increase the correlation between revenue ranking and market position. (The underlying assumption is that this is part of the pay strategy). As reward professionals, working closely with our HR business partner colleagues, we should have developed a coherent pay narrative. A story of what our pay round is trying to achieve and what it has actually achieved. The reason for this is that it makes explanation, presentations and data analysis much easier if we have started off with a basic, clearly expressed set of principles and assumptions. This may include foreign exchange rate decisions, key metrics including the budgets and a clean set of data as a starting point. Time spent cleaning pay data is never wasted and can save a vast amount of time and trouble later in the process. Data is never perfect. I have frequently come across situations where the headcount I was using for the pay review and the information in the Finance department was different. Agree and reconcile the approaches and numbers before the pay round starts. There is never enough time or resources to process a pay round perfectly. By undertaking the data cleansing, agreeing the pay narrative and assumptions and any reconciliations in advance (and appreciating that is not always possible) will save time and lead to a better pay review process. Producing high quality, clear info graphics and visualisations of reward data is a very efficient use of resources. Returning to the 80/20 rule it allows management to focus on the 20% of the pay review that is important or of interest to our stakeholders. Graphics such as the one below can be used to answer questions before they are even asked. Using this approach highlights our exceptions and the extremes of our pay distribution. The supporting data is of course available behind the graphics. But, returning to the theme of a good pay narrative, we can illustrate and support both what we are hoping to achieve and what we have actually achieved. A good graphic is a “smack in the face with the obvious”. A crude but accurate comment on what a good graphic should achieve. It is no longer enough just to present raw pay data. We have to put the information in to the business context. 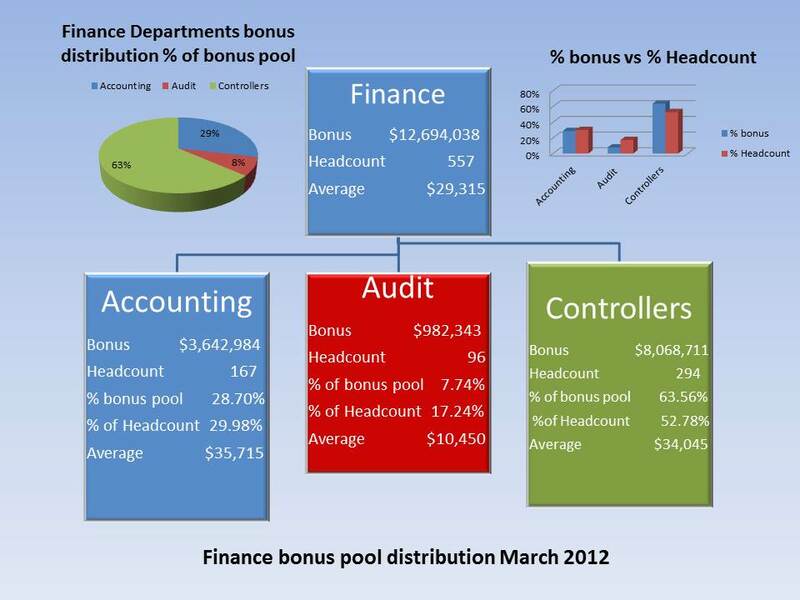 We must illustrate the connections and correlations between our limited pay and bonus budget and business outcomes. Reward the performers and the revenue generators. Pay outcomes can be used to give a clear message as to what behaviours and activities will be reward and those which will not. Many organisations, even those in financial services, are looking carefully at the “how” something is achieved as well as the “what”. Balanced scorecard approaches are very common; it is still possible to focus on the financial outcomes by giving it a high scorecard weighting; but we can nuance the approach by giving smaller weightings to cultural, behaviour and approach. A well-constructed balanced score card will be measurable and give another basis for our graphics to show appropriate correlations. In an earlier post (https://iandavidson.me/2013/08/23/pay-round-processes-a-big-data-approach-including-the-add-on-benefits-to-recruitment-training-and-development-and-succession-planning/) I showed how it is possible to run a pay round based almost entirely on those factors that lead to business success. It is not easy and arguably it removes “discretion” from managers. But, it is the use of that very discretion that often leads to upset and even legal challenge. A robust process backed by robust data is the way forward. The pay round in the vast majority of organisations is resource and time constrained. It can be made easier on all stakeholders by presenting a solid reward narrative illustrated and supported by appropriate and timely visualisations. This allows the focus of the reviewing stakeholders, be they the Remuneration Committee, Executive management or line management, to be on the 20% of the population that requires attention rather than the 80% that does not. A strong story, answering questions before they are asked and linkage with business metrics will be both appreciated as part of the alignment of HR and business strategy and as an efficient way to manage a pay round. Providing good graphics saves time and increases focus when resources are, like high pay increases, very rare.